Technology is basically at the point where it's integrated into nearly every part of our lives. Our TV's are smart, our watches are smart, and even some refrigerators and other household items are getting more and more technologically advanced. Whether that's a good thing or not, I'll let you decide for yourselves, but inevitably those changes are rolling into Walt Disney World slowly but surely as well. Just yesterday, tests began for opening your resort room with your smart phone, and soon we'll see how that technology will continue to be integrated into our theme park experience. While today's article doesn't deal directly with the new tech in the parks, it does relate in a rather simple way. Ten years ago, no one would have believed you if you told them about the technological integration around us every day and perhaps the greatest example of that is ride sharing services. I know that sounds a bit strange but who would have thought that we could press a button on our phone, jump in a car, head to our destination, and then pay the driver a few dollars via an app. If you would have told me that even last year when Uber and Lyft were starting to gain popularity, I still would have never believed that it would be a long term business model. Today, I have to say I've used the service and I'm a little shocked to say that I actually enjoyed using it for the most part. So today, instead of sharing the details of the service, I wanted to share our experience using it on and around Disney property. As many of you may have heard me talk about before, I did and kind of still do have one hangup with these ride sharing services, and it's something you may want to know before you decide to use them for yourself. The simple reality to it all is that Uber and Lyft (to my knowledge) retain very little liability in the case of an accident or unfortunate circumstance during a ride. In my opinion I see that liability falling to the driver and depending on the driver, you may or may not be covered by their insurance. It's somewhat of a grey area, and personally I've never had a problem in that regard, but that is one strike against the services starting out, but certainly one of the few downsides to the offering. I'm not a lawyer nor do I clame to know much about the legal realm of things but it is something I've been cautioned about by friends and family. Uber and Lyft both are incredibly simple to use, and quite honestly are very well designed systems to minimize wait times and maximize efficiency. Uber in particular is my preferred service of the two, simply because the drivers seem to be a little better overall (in the Disney area) and the app itself is a touch simpler to use. Truthfully, I can only speak for the Walt Disney World resort area, but the process is incredibly simple and incredibly budget friendly. After downloading the app of your choice, you open the application and answer a few simple payment and setup questions. After that you type in your destination and your location is automatically pegged on the map. At that point the app tells you what the ride will cost and how long it will take to get to your desired destination. If you decide to proceed with the ride, typically within 5 minutes your Uber or Lyft driver will arrive at your current location. 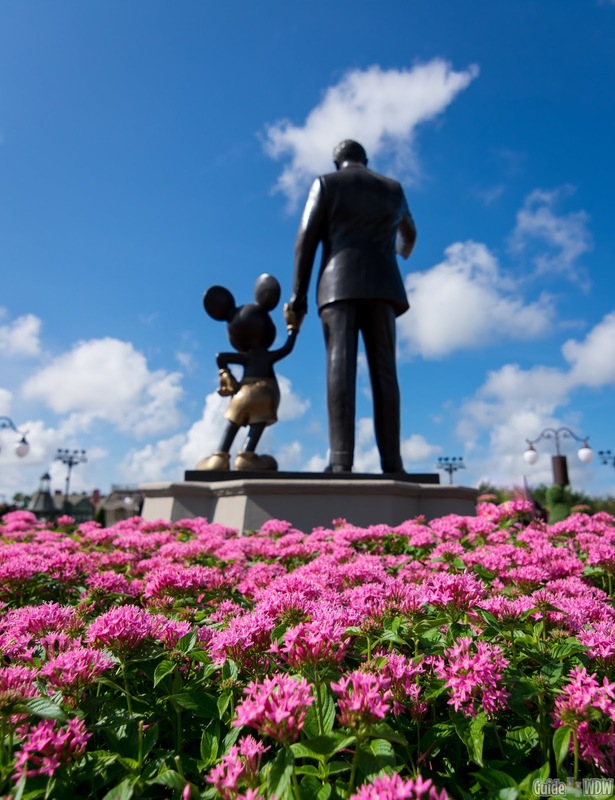 For resort hotels, typically the pick up spot is at the front entrance but for parks it can be a bit more difficult to find the pickup location. Currently, Hollywood Studios' pick up location is in the front parking lot to the right hand side of the bus stops as you exit the park. At Epcot, the pickup and drop off area sits between the Monorail station and the bus stop pick up area on the front edge of the parking lot. At Animal Kingdom, the designated area is in the very front parking lot. The only strange one of the group is Magic Kingdom and we were fair warned about it's drop off location. If you're looking to save as much time as possible you're better off being dropped off at the Grand Floridian or Polynesian Resorts. You're not taking up an extra parking space or anything like that so I don't see Disney having any issue with it (we had no problem whatsoever at the Grand Floridian) and it will save you quite a bit of time compared to the security lines at the Transportation and Ticket Center or over at Magic Kingdom. If you use the resorts to your advantage, your bags are checked at the resort monorail stations where the lines tend to be far shorter. The pickup and drop off sequence is pretty simple. You choose a destination, your driver and model of vehicle pops up on the app, you get in the car, you ride to your destination, and you get out of the car. After you exit the vehicle you can choose to rate the driver and leave comments about the ride. For the most part rides are typically rather smooth, and the entire process is pretty flawless. The ratings you give as feedback help determine driver ratings and if drivers drop below a designated rating, they will no longer be allowed to drive. Why Use Uber When Disney Transportation Is Available? This was and still is a question I ask myself. In our circumstance it worked out perfectly due to the fact that we stayed at the Double Tree near Disney Springs. The hotel is still technically "on property" but it is not owned or run by Disney themselves. As a result, the transportation provided for the parks is pretty terrible and honestly way more time consuming than it's worth. For us, and in that situation, Uber and Lyft were the perfect alternative and a balance between price and convenience. 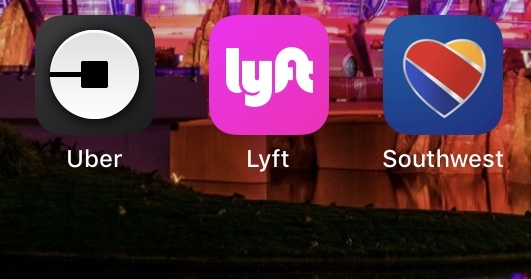 There are a few more reasons though that I could and would see myself using these ride sharing apps in the future and that would be for early entry days, dining reservations, or really anytime you need to get somewhere on property quickly. Even if you're staying at a Disney resort, Disney transportation can be slow at times and if you're already running behind or are really pressed for time, 98% of the time Uber can get you there faster than any other means of transportation (with very few exceptions). Even our longest rides during our stay lasted less than 15 minutes. Obviously, there's a cost vs. benefits situation that arises with all of this, but for me I would certainly consider at least downloading the apps before your trip just in case you were to need them. Minnie Vans are another option and they do use the Lyft application to run the service but the cost I see as far too expensive for the subtle differences. With Minnie Vans you are getting a Disney Cast Member as your driver, you are offered a car seat if need be for kids, and the car itself is basically guaranteed to be in great condition. Unfortunately all of that comes at a cost of $25 per ride. For our situation it is not and was not the better option, but for a select few it may be. The rates are going to vary a little bit by the time of day and the route chosen within the application to get to your desired destination. Every ride we used cost us less than $12. Most rides were between $6 and $8 before the discounts were applied which we'll explain in more detail below. 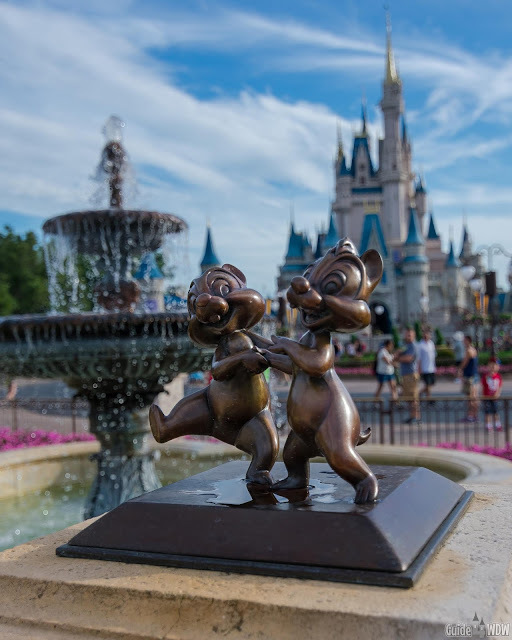 Most destinations on Disney property can be reached within about 10 minutes and while that does translate loosely to near a dollar a minute it's still a far cheaper way to get around than a taxi or town car. Something worth noting is that Uber does tend to be a touch more expensive on a per ride basis, but it's a very minimal difference. Throughout our 4 Night 3 day stay, we spent roughly $65 on transportation. We did use Disney transportation to move from park to park to cut some costs, but transportation from the Double Tree was all through Uber or Lyft. This was the big question I had going into this and was one of the reasons I had avoided it for so long to begin with. $6-$12 a ride isn't the end of the world but if you're going back and forth to the parks more than once a day to spend time at the pool or change clothes or anything of the sort, you end up doubling your costs for the day. That's where discount ride codes come into play. If you're a first time Uber user you get a $5 credit when you are referred by another user. For Lyft, some referral codes can get you as many as 3 or 4 trips at a $5 discount per ride. You can check out a few of my personal promo codes below for discounted rides. Here's our link for $5 off your first 4 rides on Lyft. (Fair warning, the promotion does expire 15 days after activation so wait until your stay before you claim the offer and download the app). Before this sounds too sales pitchy, I do want to mention that these codes don't really help me all that much. I do get a ride credit for referrals but it will expire before I'm anywhere it would do me much good. Neither Uber or Lyft have asked me to write this up and I'm pretty positive neither company knows this site even exists lol. In the realm of making things as cost effective as possible though, sign up with a code yourself to secure discounted rides, and then have everyone else in your group sign up with a code as well or refer each other to receive the ride credits. The app makes it very easy to refer someone and you can even use the same credit card on multiple accounts. In our case, we created four new accounts, (one for each person in our group) and paid full price for one ride out of many on our most recent trip to Walt Disney World. $5 may not sound like much of a discount but $5 off of an $8 ride gets you to the parks for about $3 sometimes and that's incredibly hard to beat! Every system has its flaws and Uber and Lyft are no exception. There are very few downsides of this service but there are a few things you should be aware of. First, some drivers are difficult to understand (do not speak english at times) and some can be very very quiet a majority of the ride. A select few drivers can be much more conversational, and truthfully those are the ones I prefer. Long story made short, you get to meet a lot of unique people who drive full time and some part time for these ride sharing companies. Ironically, the "part-time" drivers tend to be the more entertaining and better drivers, while the full-time drivers are more concerned about getting you out of their car and on to the next customer. The frustrating part is that you can't necessarily pick which driver you'd like to use. The good drivers tend to more than make up for the bad ones and just as an example you do get to help some people out who really need the money along the way. I wont name any names but we had a driver that had recently relocated from Brazil. We asked why and he proceeded to share his backstory with us. It was one of those moments where you knew the person was being authentic and not trying to collect an extra tip but rather was really trying to make the best of his situation. All he wanted to do was talk about his kids and how being in Orlando was going to allow them to get their education and provide for themselves after the Brazilian economy had collapsed. He was the best driver we had of the trip and he even mentioned that a typical day of driving for him was 15-18 hours a day. The man basically lived in his car to make ends meet for his family. He never once complained, he never once blamed his situation on the economy, and he was the first person to get excited about both my sister and mother being school teachers and was instantly grateful for what they did each day. You see, the drivers may not be perfect all the time and the service may not be the perfect "end all be all" solution but the people you get to meet can sometimes outweigh the faults. If you're like me and hesitant about it, I suggest giving it a shot at least one time. It likely is your most cost effective transportation option and you never know when you may need a quick ride around Disney property. At the very worst, you'll be out a few dollars and about 10 minutes of your time.